Our law firm handles serious injury and wrongful death lawsuits in the state of Maryland. If a member of your family resides in one of the 14 Maryland homes operated by Sunrise Senior Living, you may want to take a closer look at this company. Headquartered in McLean, Virginia, Sunrise Senior Living was founded in 1981. It now operates over 300 senior living facilities in the U.S., Canada, and the United Kingdom, serving a total of some 30,000 residents. By far the largest part is its U.S. operation, which counts 247 facilities and 26,000 residents, concentrated most heavily in the northeast. The company has about 29,000 employees. As for Maryland, Sunrise locations can claim some of the most upscale zip codes in the state. Paul and Terry Klaassen founded the company in 1981, with the philosophy of establishing senior living homes that emphasized the individuality of each resident. Even after growing from a single facility to over 300, the company would insist that "No one champions quality of life for seniors like Sunrise Senior Living." Part of the company's growth came with its 2003 purchase of Marriott Senior Living Services, renamed Brighton Gardens, through which the company would offer "the safe, nurturing environment that is a trademark of Sunrise." But in 2012, Sunrise itself was bought out - and it remains to be seen whether the company's warm and fuzzy original philosophy will continue under new ownership. Forking out $844 million in cash for Sunrise was a firm called Health Care REIT. (REIT stands for real estate investment trusts.) If you never heard of that company, you also may never have heard of Welltower Inc. -- the new name the company adopted in September 2015. So Sunrise Senior Living is now a unit of Welltower - a big-time investor in senior living and healthcare facilities, with a $27 billion portfolio and over 1,400 properties in the U.S. Canada, and the U.K.
Welltower buys companies. In July 2016, Welltower announced the promotion of Matthew McQueen, a company lawyer who, before joining Welltower in 2015, had represented the company in buying Sunrise Senior Living, HealthLease, and Genesis HealthCare. Size is a quality issue. Can an organization maintain as consistent a level of quality with 300 facilities, or 1,400 - as well as it can for one? But even before Welltower took over, Sunrise Senior Living had some red flags on quality - as illustrated by a number of legal actions within the past decade. Sunrise nursing homes have been sued many times in Maryland. Like most large nursing home chains, Sunrise Senior Living settles the vast majority of lawsuits filed against it. Our lawyers have not seen or heard any reports of lawsuits against Sunrise Senior Living going to trial in Maryland. As you will see below, Sunrise took some lumps in 2007-08 and probably stopped trying cases there were not extremely sure they were going to win. Nursing homes are big business in the country and they fear the bad publicity and the spotlight lawsuits shine on the level of care residents in some of these nursing homes receive. 2008, California: $2,000,000 Verdict. A retired 104-year-old kindergarten teacher is living in a skilled nursing facility for eight weeks. She receives physical therapy treatments for a broken tibia/fibula. While at the facility, she sustains several injuries, including multiple falls, multiple skin tears, and Stage IV decubitus ulcers on both heels. Ultimately, she dies of sepsis from the ulcers. Just an incredible way to die after living 104 years. Her estate files a claim, alleging negligence resulting in her injuries and wrongful death. A jury awards her estate $2,000,000, which is reduced to $1.25 million per the statutory damages cap. 2008, New York: $3,000,000 Verdict. A 74-year old male moves into a Sunrise Senior Living facility with a secure dementia unit. He is living there for one week before he ingests lye (a strong alkaline solution) that was left on the counter, after mistaking it for cranberry juice that he was served earlier that day. As a result of ingesting lye, he suffers burns and ulcerations to his mouth, extreme anxiety, and aspiration pneumonia, leading to his death. His estate alleges that ingesting lye caused the plaintiff's pneumonia and that the nursing home is liable as leaving lye unsecured in a facility caring for dementia patients is negligent. The defendant's attempts to argue the burns were only minor and that his death was unrelated to the incident, but a jury awards the man's estate $3 million. 2007, Virginia: $279,000 Verdict. This is not a nursing home neglect or abuse case but it is instructive. A couple signs a continuing care agreement with a Sunrise Senior Living facility a few months before moving in. However, when they arrive at move-in, the "atmosphere" does not represent the quality of living that Sunrise claimed. Additionally, they are told their leaky ceiling would be fixed, but it is not. The couple feels misled and files a lawsuit alleging failure to provide satisfactory services and fraudulent misrepresentation of the state of the nursing home. A jury awards them $279,000. 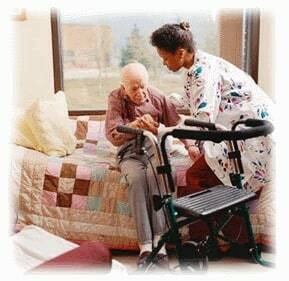 If you or someone you love was a resident at a Sunrise Senior Living facility and was hurt or killed by the negligence of this company, call our Maryland nursing home lawyers at 800-553-8082 for a free Internet consultation to discuss your litigation or settlement options.